Eutelsat Communications and Es'hailsat, a spin-off of ictQATAR (representing the State of Qatar), announced in July 2010 that Space Systems/Loral has been selected to build the high-performance satellite they will jointly own and operate at the 25.5° East location in geostationary orbit. The joint satellite was to be named Eurobird 2A / Es'hail 1. The selection of prime contractor marks the next step forward in the partnership signed in May by Eutelsat and ictQATAR to invest in and operate a high-capacity satellite at 25.5° East, one of the two longstanding and anchored neighbourhoods serving rapidly expanding markets in the Middle East, North Africa and Central Asia regions. The two organisations selected Space Systems/Loral to deliver a spacecraft with a more than 15-year design life based on the Space Systems/Loral 1300 satellite bus, which is a decades-proven, modular platform with high power capability and flexibility for a broad range of applications. To enter into service in early 2013, this powerful satellite will provide a significantly expanded mission and superior coverage across Middle East, North Africa and Central Asia to follow on from Eutelsat's Eurobird 2 satellite, which is currently operated at 25.5° East. In addition to securing Ku-band continuity for Eutelsat and additional Ku-band resources for ictQATAR, it will initiate a Ka-band capability to open business opportunities for both parties. The spacecraft's multi-mission architecture will enable ictQATAR and Eutelsat to respond to demand for the fastest-growing applications in the Middle East and North Africa, including video broadcasting, enterprise communications and government services. The television market will in particular benefit from the installed base of more than 13 million satellite homes already equipped for Direct-to-Home reception from this neighbourhood. In December 2011 Eutelsat announced, that their satellite assets will be renamed under a unified brand name effective from March 2012. This satellite became Eutelsat 25B / Es'hail 1. 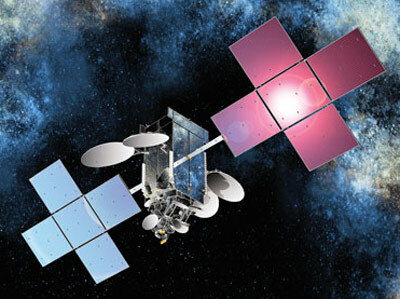 In August 2018, Eutelsat has sold its interest in the satellite to the co-owner of the satellite, Es’hailSat.